Top 10 Neti Pots – Clear Up Those Sinuses Naturally! 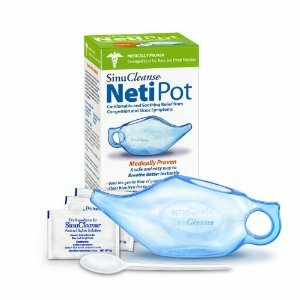 If you suffer from allergies or feel as if you are chronically “stuffed up”, but don’t want to take allergy pills or sinus medication, then you simply must check out neti pots. 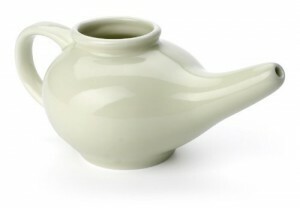 Neti pots have been round for centuries. You might have even seen them and wondered what those cute little teapots were doing in the pharmacy area. 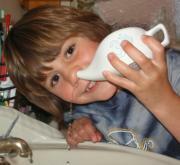 The idea behind neti pots is a natural one that makes sense. 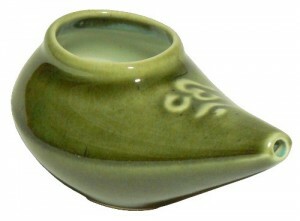 Neti pots have long noses that you insert into one nostril, tilt your head back, and allow a saline solution to wash out the sinuses. Yes, the junk comes out the other nostril, but it’s not as messy as it sounds and it’s all over with fairly quickly. If you would like to see a video of how this is done, you can find a short one right here. 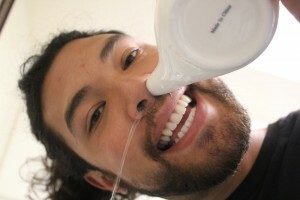 So you’ve decided to take the plunge, so to speak, and give the neti pot a try? Good for you! Now you need to choose the right one for you, and there are so many choices! We have narrowed it down to the top 10. 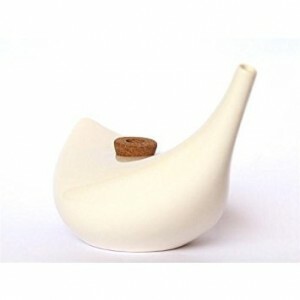 One of the following neti pots should work perfectly for you, so give them a try! These pots are pretty; with a nice no handle design, so you can get a firm grip on the pot itself. 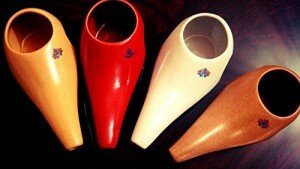 Each one is handcrafted in Europe and is 100 percent free from lead. You can warm it in the microwave and wash it on the top rack of your dishwasher. The nostril fitting is a good size and fits almost everyone. For a general, all around, get the job done basic neti pot, you can’t beat this one. 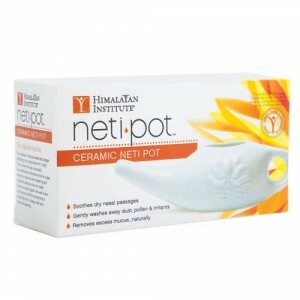 This neti pot is a great choice if you are all thumbs or if you have children. It is made from transparent, environmentally friendly plastic, so if you drop it or bang it against a kitchen counter, it will still be fine. It has a very long, curved spout, so it can reach the most difficult of nostrils. Lightweight enough to be easy to handle, sturdy enough to take a good knock. 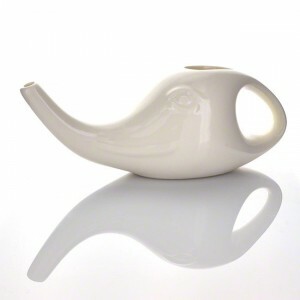 This is one of the few neti pots that has a solid, one piece handle. This design means that there is less of a chance that something disgusting will get stuck inside the hollow handle and grow even more disgusting bacteria. It is top rack dishwasher safe and comes in a pretty green glaze, which makes it feel smooth against the nostril. If you want durability, but don’t want plastic, this might be the most perfect neti pot yet. Made from heavy duty, stainless steel, you couldn’t break this pot if you tried. This pot includes a special tip for even tiny nostrils and it won’t drip down your face. 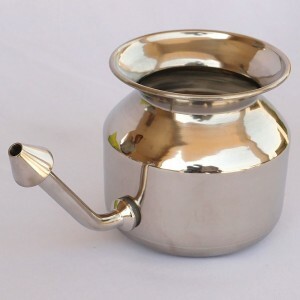 The SteloKleen pot is easy to sterilize and will last for many years when cared for properly. The great thing about this pot is that it comes in several sizes and is unbreakable. Many people believe that natural materials, such as copper, are better for the body than plastic or ceramic. The body needs copper and although you would only get microscopic doses of it via your neti pot, it still beats micro doses of something you don’t want. It can be on the expensive side and copper, if not properly cared for, will tarnish quickly. This is perhaps the first mass produced neti pot, in production since 1972. Made from 100 percent lead free ceramic and glaze, this is the most basic, simple, and inexpensive option you are likely to find. Top rack dishwasher safe, it does have a hollow handle, however, so you will want to take extra care to be certain you keep that part clean and dry in between uses. 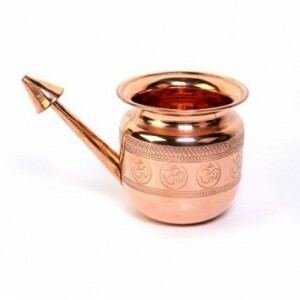 This one is designed to look like an elephant’s head and trunk, it pours about 50 percent faster than other pots, so if you want to get the job done quickly, and this might be a good choice for you. Easy to hold, the cute elephant design makes it look more attractive to children. This ceramic pot also has a hollow handle, so take care to keep it properly clean and dry between uses. 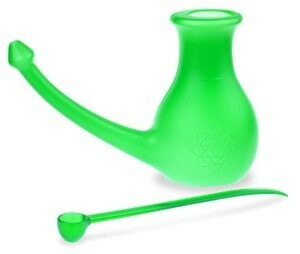 This pot was developed by a top Ear, Nose, and Throat specialist, so you know it must work. The package includes 30 pharmaceutical grade saline packets, so you can rest assured that you are using a clean, safe solution. Made from latex and BPA free plastic, it is unbreakable and recyclable. This is most likely one of the few pots made in the USA. Very inexpensive and lightweight, this neti pot would be great for travel or for new users who want to see if sinus cleansing is right for them. This pretty little pot is made from hand-cast porcelain and is very smooth, as well as durable. It is easy to grasp, with no handle to hide bacteria. Dishwasher safe, compact, and pretty at the same time, this tiny pot has everything you could ask for and none of the things you don’t want. It comes with a cute matching salt jar, too! Comes in blue or green to match most household decor. Although it is called The Petal, to us, this simple pot looks more like a swan or duck, with its elongated neck. Made from porcelain, it comes with a natural cork top that can be used as a different sized nozzle. No handle means no hidden bacteria worries. Guaranteed to be 100 percent lead free, and is made in Portugal, unlike many pots which come from China. Pretty and safe, this little petal pot is a beauty. Clear sinuses make for happier people, so grab the neti pot of your choice and find instant sweet relief.